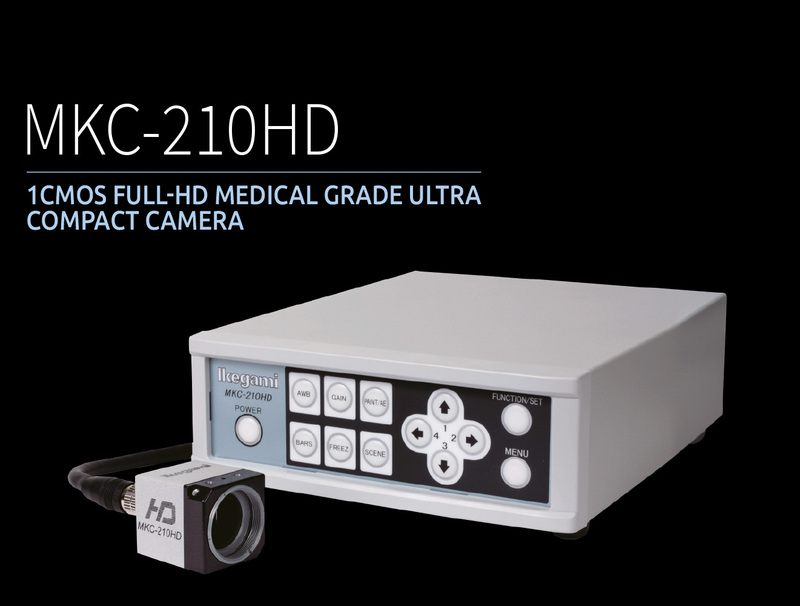 The MKC-210HD employs 2.1 Mega pixel Full-HD 1/3-inch CMOS sensor to provide 900 lines of high definition video images, and the optimal video quality required for high-end medical video systems. The camera-head is extremely small (W31xH31xD36mm) and lightweight. 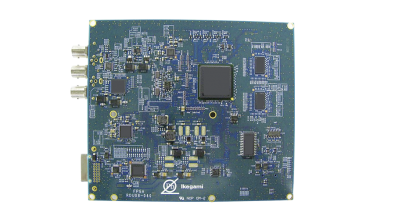 The MKC-210HD employs a 2.2Mega pixel 1/3-inch CMOS Sensor to provide 900 lines of high resolution video image, high S/N ratio of 50dB and high sensitivity of F7/2000lux. 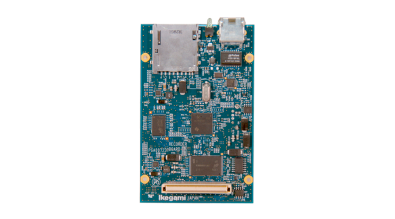 Video signal processing is done in the same signal process as Ikegami’s broadcast cameras to constantly achieve the same high level of quality and reliability. 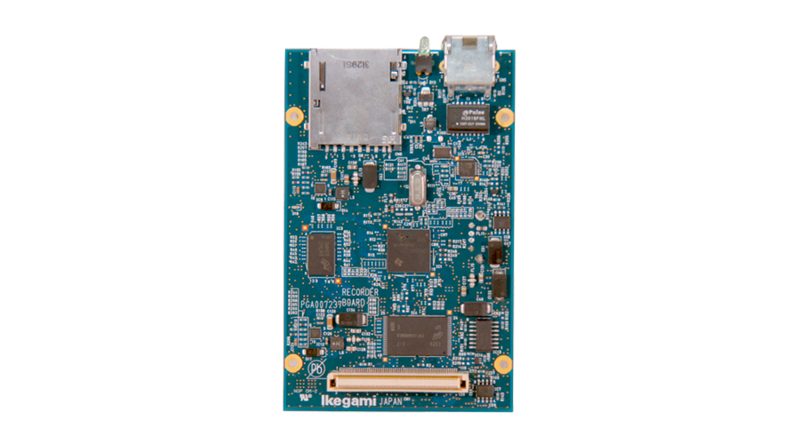 Equipped with several video signal outputs such as digital HD signal (HD-SDI), DVI digital signal (1920×1080), NTSC/PAL composite signal (VBS) and S-VIDEO to deal with various types of signals. IP Ethernet output and 2nd DVI output are available as an option. Electronic shutter (Shutter Iris) functionality maintains the optimized performance in a variety of situations. Accurate iris control is possible with Auto-iris camera adaptors and Auto-iris lenses. * This is used for the shadowless lamp system. Pressing the Freeze button on the CCU panel will hold the current image. This allows the detailed inspection of situations where the motion could hide the details. The function is also available with the optional foot pedal. The pictures can be recorded into SD card of optional IP Ethernet board. 4 scene files are provided to keep pre-set memories for functions and controls. It is easily possible to call suitable programs to adapt the conditions for taking photographs by this function. 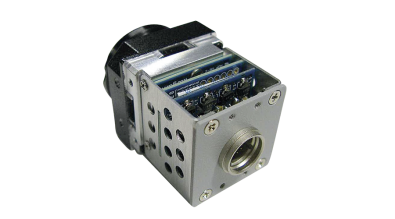 Digital capture means that captured images can be flipped horizontally and vertically by the digital processing to correct TV images against the optical inversion caused by optical instruments. An optional foot pedal is required to allow an external operation for this function. The center of video image on the screen can be zoomed up to four times by using this function.